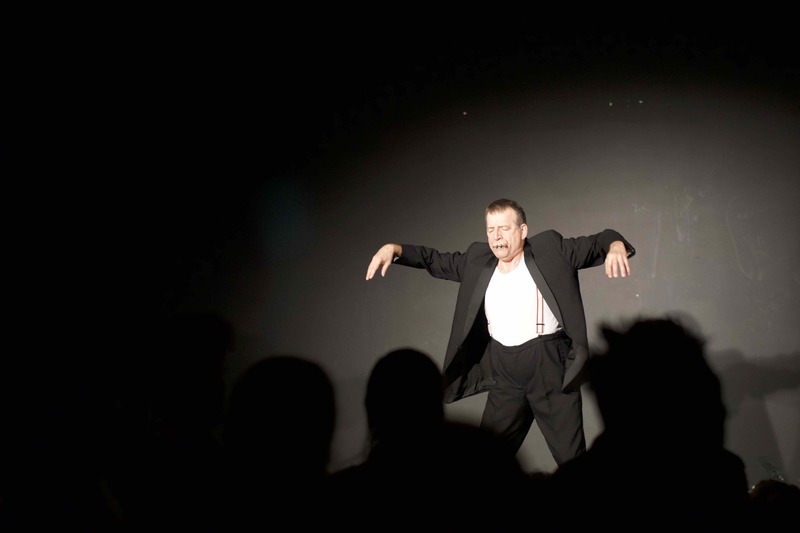 Jürgen Fritz is co-founder of Black Market International, since the beginning of this international Cooperation of Performance Artists with whom he works since 1985. He showed his performances in all countries of Europe, the USA, Canada, Mexico Asia and Australia. Since 2012 he lives as free lance artist in Hanau, Germany. He is co- founder of the International Performance Association (IPAH, registered association) and artistic director of the festival of performance art ZOOM!, co-founder and co-organizer of the Platform for Young Performance Artists and the IPA Summer. Since 1995 he is a lecturer in performance art at different Universities in Germany.